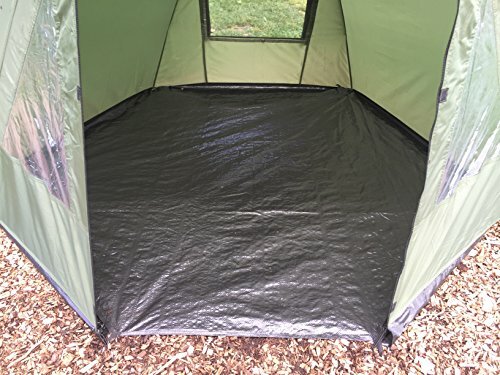 HIGH QUALITY FULLY WATERPROOF FABRIC – Fabric comes in increased Hydrostatic Head (HH) of 3500mm. 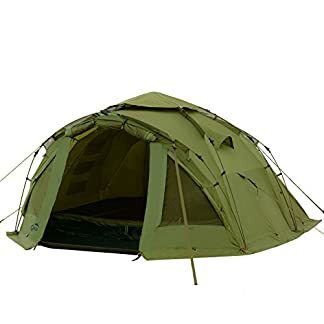 Has full PU coating on the inside of the material with extra series of treatment on the outer fabric which increases its strength and durability. 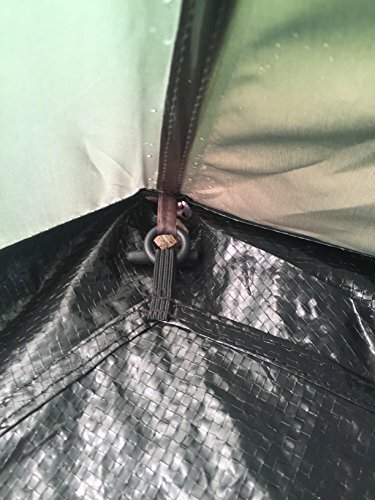 – Double Seals throughout to avoid any leaks and ensuring watertight. Will keep you dry what ever the weather. 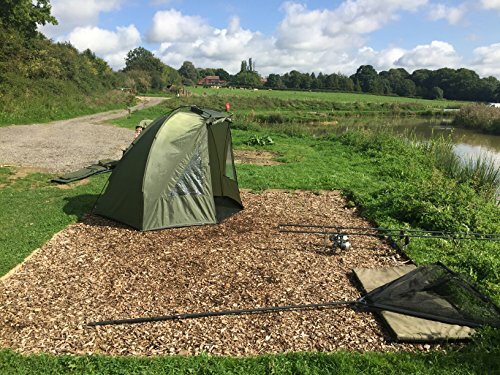 UPGRADED EXTRA STRONG POLES – To ensure even the most heavy handed anglers can’t break it! Other cheaper versions on the market have thin poles and can easily snap. Our come with strong 13mm poles. Zipped and velcroed rear mozzy vent. Fully closing front with side PVC clear windows. Comes with 4 point guide ropes for use in extreme weather. 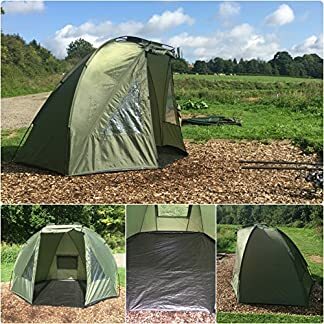 This bivvy is by far the best on the market for this design and style of shelter. 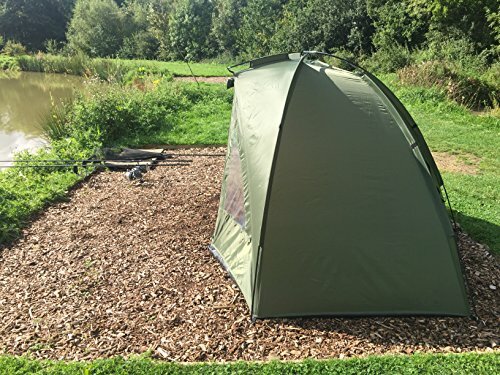 Not only do we offer a great price, our design has all the added benefits of: **190T Taffeta fabric with an increased Hydrostatic Head (HH) of 2000mm **PU Coated to increase the shelters water resistance **Better quality zips installed **Double Seals right through to avoid any leaks **Detachable heavy duty PE groundsheet **Extra strong fibreglass poles and pegs **Larger dimentions of 220 x 180 x 155 cm (WxDxH) (87x71x35 inches) **Lightweight at just 2.5kg which makes it perfect for the mobile angler and short sessions **Quick erect in under 3 minutes This bivvy is perfect for anyone starting out in fishing, wanting to keep mobile and does not want the heavy weight of many bivvies on the market. What is PU coating? It is a substance called polyurethane that is added to fabric to make it more water resistant, lightweight and flexible. 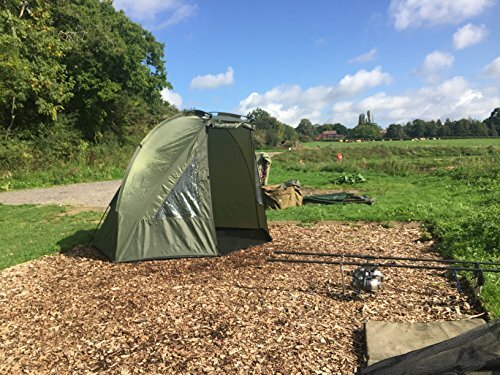 The is a great benefit to this style of bivvy and the water will run straight off the fabric as shown in the photo below. 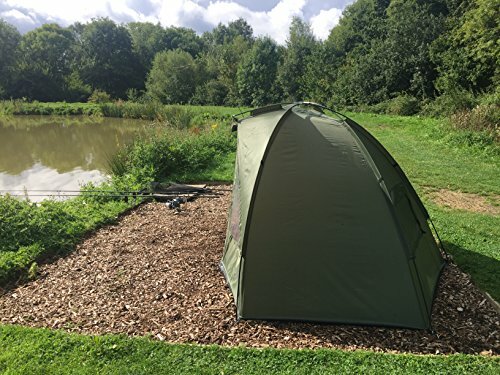 HIGH QUALITY FULLY WATERPROOF FABRIC – Fabric comes in increased Hydrostatic Head (HH) of 3500mm. 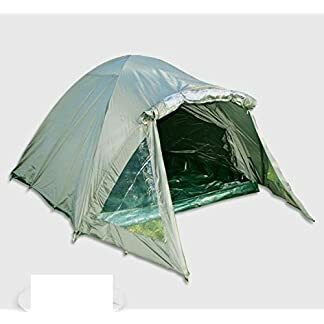 Has full PU coating on the inside of the material with extra series of remedy on the outer fabric which increases its strength and durability. – Double Seals right through to avoid any leaks and ensuring watertight. 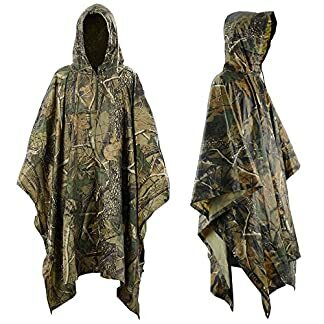 Will keep you dry what ever the weather. 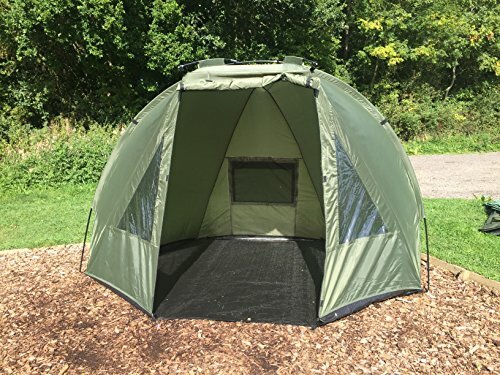 ZIPPED AND VELCROED REAR VENT – We have added a zipped and velcroed rear vent for added air waft in the warmer months which means you’ll easily be kept out of the sun and have the good thing about the breath blowing through the shelter. This is perfect design for anyone starting out in fishing and wants to look the part and not break the bank. 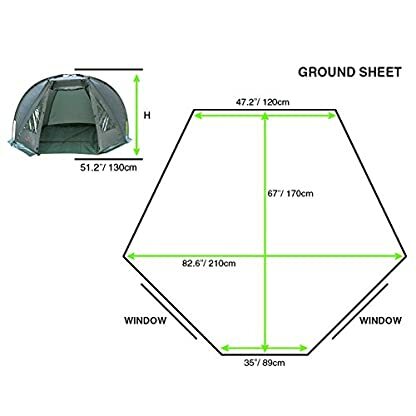 Comes supplied with groundsheet. Dimensions are 210x170x130cm. Please check floor plan in the photos.